Does your business sometimes turn to freelancers, consultants and other independent contractors to get the work done? 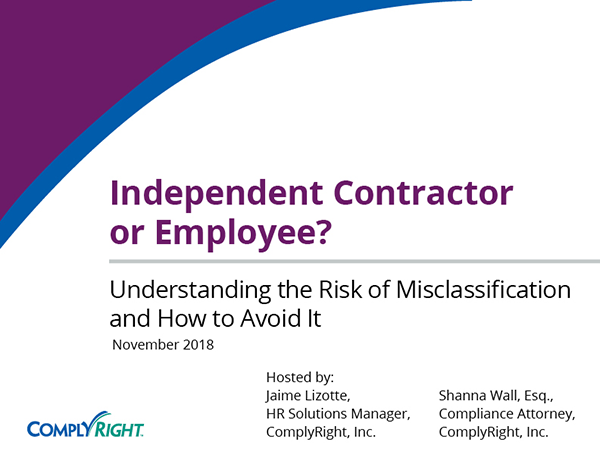 With the IRS and Department of Labor (DOL) both cracking down on misclassification of independent contractors, following the rules has never been more important. The legalities surrounding independent contractors start and stop with you, the employer. Once you’ve done your homework and determined who is truly an independent contractor (and not an employee, based on the various tests), you need to create another layer of legal protection with a formal agreement. Workers classified as independent contractors should be required to sign a written agreement indicating, among other things, their understanding that the relationship is not an employment relationship for tax purposes or compliance with other federal and state employment laws. The agreement should also detail the nature of services to be provided, the results to be obtained, deadlines (if applicable), compensation, and other key terms regarding the relationship. Although an agreement by itself is never enough to make a worker an independent contractor, it will help show the IRS and other agencies that both you and the worker intended to create an independent contractor relationship, not an employer/employee relationship. And remember: An independent contractor agreement is only useful if its terms accurately describe the parties’ relationship. 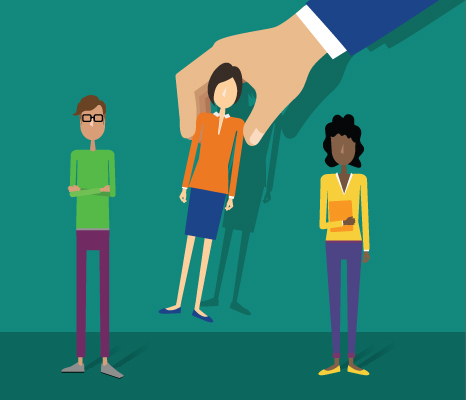 To be deemed an independent contractor under any of the applicable laws, the worker must be treated like one. A W-9 form needs to be completed by the contractor before beginning any work. And you’re responsible for issuing a 1099 by January 31 the following year for tax purposes. One more paperwork tip – always request an invoice for work completed. Having an invoice helps validate independent contractor status. When it comes to performance management, focus on your contractor’s final results, rather than overseeing day-to-day activities. In addition, allow independent contractors to set their own hours. The exception is if your contractor needs to work scheduled times with your employees or customers. If that’s the case, you can request specific timeslots. It’s best to pay contractors according to a “statement of work,” or project summary. To help maintain independent contractor status, you should steer clear of paying an hourly rate. A true independent contractor typically is paid for their final results (whatever the estimated time), not per hour. The same goes for uniforms, office supplies and other materials. Generally, contractors should use their own materials for the work performed. You should avoid providing a designated, long-term workstation, too, as contractors shouldn’t have a permanent office at your business. To be clear: Because the worker isn’t an employee, you can’t fire them in the traditional sense if you have concerns about their work. Rather, you would terminate the relationship. To do this, you want to be certain your contract agreement includes language regarding the conditions in which an agreement can be terminated. In addition, it should specify the number of days or weeks’ notice that will be given.